The zombies are coming... and the only things keeping them at bay are an array of deadly plants. A scenario that we here at The Daily Zombies are more than familiar with. 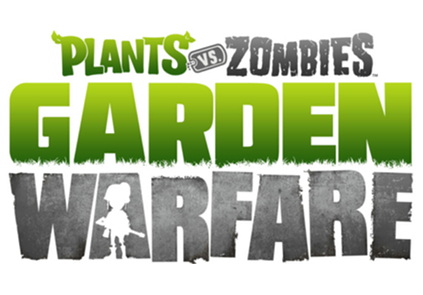 However, with PopCap's upcoming Plants vs. Zombies: Garden Warfare, the game has indeed changed. At the recently ended E3, there have been several notable reveals and announcements but it is hardly an argument that the entire event is built on the hype behind Sony's PlayStation 4 and Microsoft's Xbox One. Nevertheless, one particular title has caught our attention as well. 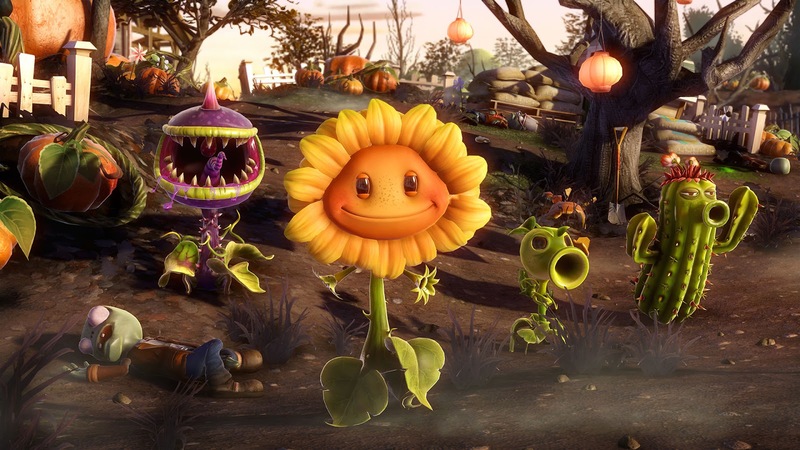 Namely, PopCap and Electronic Arts' Plants vs. Zombies: Garden Warfare. Originally thought to be a Xbox One exclusive, the third-person shooter will also be combining elements from its tower defense origins. 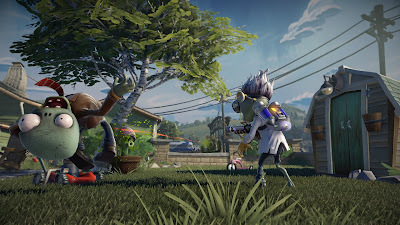 While our interests are firmly on the official sequel, Plants vs. Zombies 2: It's About Time, our interests in the peculiar fusion tower defence/shooter are reasonably amplified with the reveal trailer of the title at E3. Hit the jump to check out the trailer. PopCap Games, a worldwide leader in mobile and social games and a division of Electronic Arts, today introduced Plants vs. Zombies Garden Warfare exclusively first on Xbox One, the all-in-one games and entertainment system from Microsoft, and the Xbox 360 videogame and entertainment system. 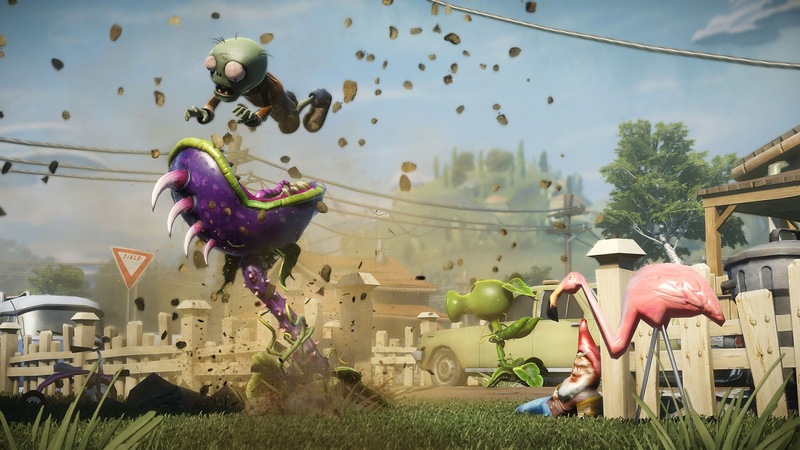 Plants vs. Zombies Garden Warfare is a stunning new game originated from the famed PvZ franchise that faithfully pays homage to the action genre while retaining the signature quirky humor, depth and accessibility fans expect from a PvZ game. Plants vs. Zombies Garden Warfare will launch in spring 2014. 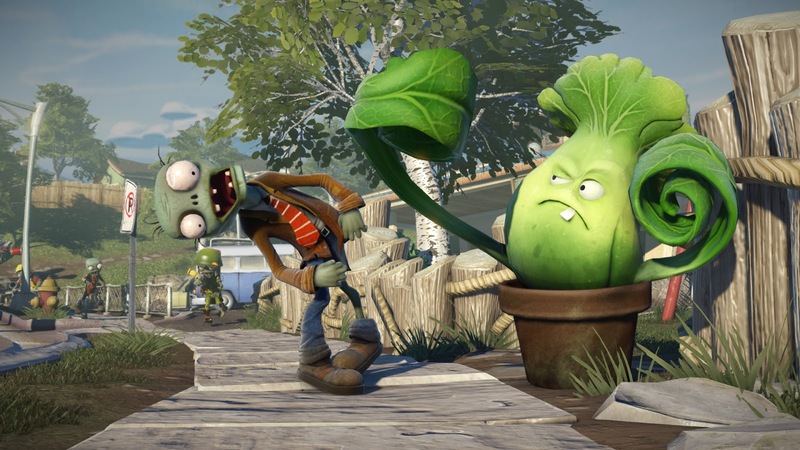 "The Plants vs. Zombies Garden Warfare team has worked tirelessly to bring fans a totally engaging action game,” said Brian Lindley, Plants vs. Zombies Garden Warfare Producer at PopCap. 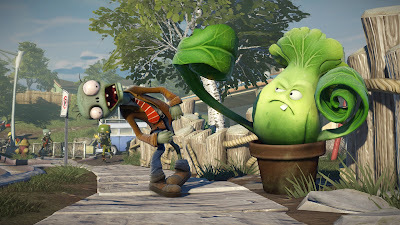 “We have worked hard to combine the best of Plants vs. Zombies and action gameplay to create a whole new experience." Powered by the advanced Frostbite 3 engine, Plants vs. Zombies Garden Warfare delivers an explosive new action experience in a massive, three-dimensional world, blooming with color and combat. 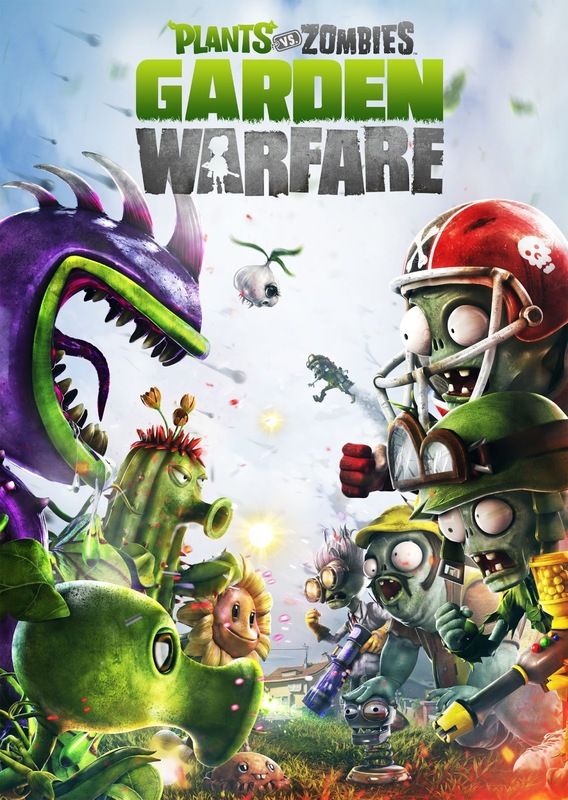 Featuring 4-player co-op, 24-player competitive modes and more, players will blast zombies, plants and new characters across a richly animated, mine-blowing PvZ landscape. 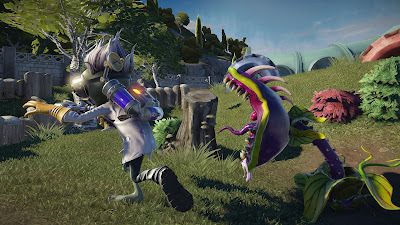 “Plants vs. Zombies Garden Warfare takes the PvZ experience to amazing new gameplay territory while retaining the core characteristics beloved by legions of fans,” said Jon David, Plants vs. Zombies Executive Producer at PopCap. “This is a massive year for PvZ with the recent release of Plants vs. Zombies Adventures, the mid-July arrival of Plants vs. Zombies 2 and now with Plants vs. Zombies Garden Warfare for next-generation platforms and PC." Screenshots released thus far for the title. 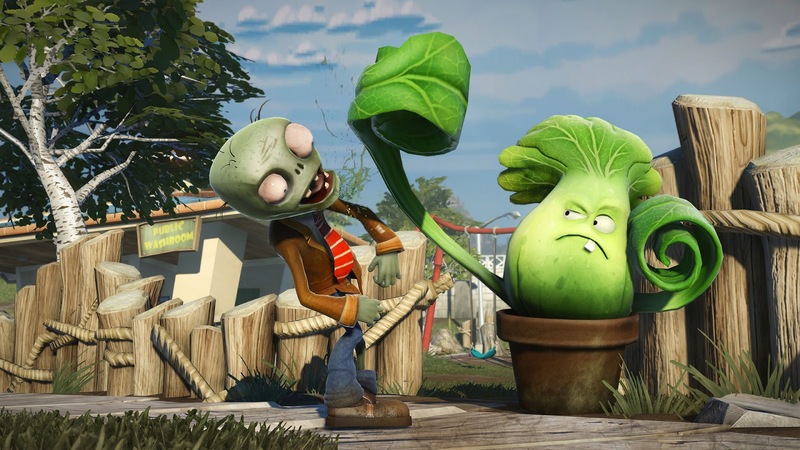 And speaking of Plants vs. Zombies 2: It's About Time, here are some of the sneak preview clips revealing the title's new direction to time-traveling. Plants vs. Zombies 2. Crazy Dave is on a time travel adventure and sent a transmission from Ancient Egypt. Plants vs. Zombies 2. Crazy Dave is on a time travel adventure and sent a transmission from the Pirate Seas. Plants vs. Zombies 2. Crazy Dave is on a time travel adventure and sent a transmission from the Wild West. 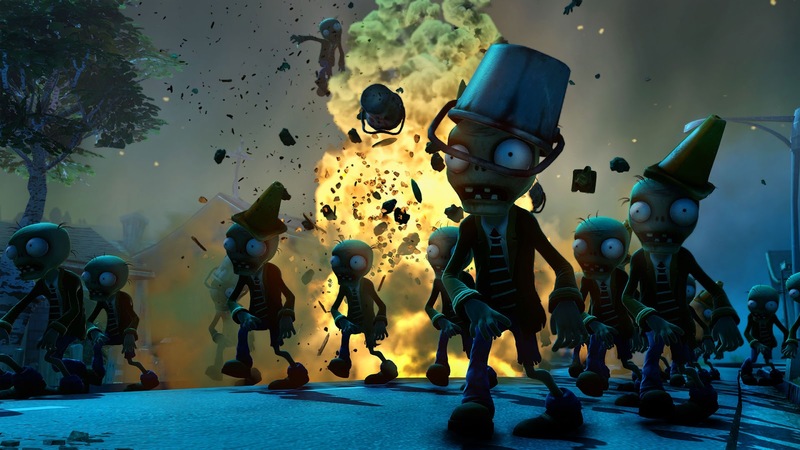 Still need more reminders on the fact that Plants vs. Zombies is awesome?